FLYING LION PRODUCTIONS Provides broadcast quality motion video and still image photography of breaking news events in Los Angeles County with a specific focus on the East San Gabriel Valley. Our business is video acquisition for broadcast. We cover real breaking news in Southern California. We provide recorded product for broadcast to the leaders in Southern California television news including KABC, KCBS, KTLA, KTTV, KMEX, KNBC, KCAL, KVEA, and KCOP. National broadcasters like ABC News, NBC Dateline, Telemundo, Univision, CBS News and Fox News as well as the world leaders in international news, CNN and The Associated Press also use our services. Our media images have been published in local newspapers like the San Gabriel Valley Examiner and the San Gabriel Valley Tribune, the Pasadena Star-News, and the Whittier Daily News. When a business like yours needs help with your production projects --- that’s when FLP steps into the picture. 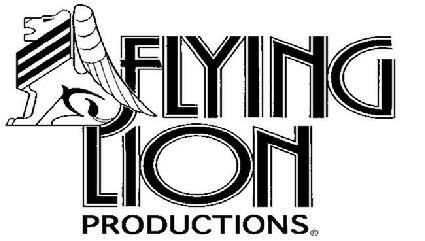 Flying Lion Productions specializes in providing the extreme first responder stock, reality video and raw stringer footage your production demands. Our dramatic stock footage has been featured on NBC's "Law & Order: Special Victims Unit", Moonlight - the private investigator series on CBS, "Homicide for the Holidays" the riveting crime series on The Oxygen Channel, "Beyond Tough", TLC’s power packed series hosted by Ice-T, TruTV's - Hollywood At Large and "Most Daring", Spike TV's "Whacked Out Sports!" and the Discovery Channel's hit reality show "Now See This!". With a client list like that, we’ve got to be good. 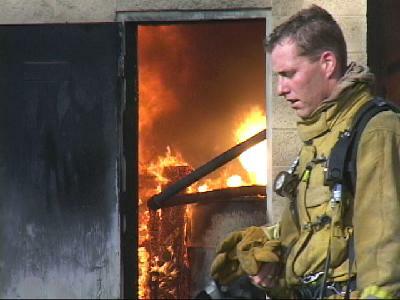 Maybe you need a copy of the raw footage of the ELF claimed Eco-Terrorism Fire damage in West Covina, the arson caused fires in Anaheim Hills or Santiago Canyon, the horrific Christmas Eve inferno in Covina, or the July 4th plane crash in San Dimas. We have it right here! We’ve got real footage of the brush fires, residential fires, commercial fires, traffic collisions, medical rescues, helicopter airlifts and water drops. Here is where you will find the bank robberies, police car chases, barricaded suspects, and drive by shootings. If you need footage of domestic violence, workplace, gang related or shock ad video, from car crashes to train wrecks to rescued kittens, horses, and cows, then you just found it. If you're looking for video footage of law enforcement action, suspects being handcuffed and arrested or firemen battling burning buildings, it's all available right here. We have provided site video for accident research and incident investigators, or event and scene documentation for insurance agencies. We’ve also provided Emmy award winning television, cable and video production services for various live and taped events like documentaries, press conferences, video press releases, fashion shows, industry/trade seminars, educational, instructional, Fire EMS and public safety training videos, sporting events and fund-raisers at some of the Los Angeles areas top venues. This is an invitation for you to look us over and give us a try. We’re good. We’re fast. And our quality is superb.